Is the myth about ‘eating for two’ when pregnant true or false? The idea that you should be eating for two in terms of calorie consumption while pregnant is absolutely not true! 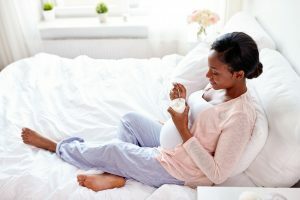 What is true is that when you’re pregnant, you should be considering a healthy diet for both you and your unborn baby. Pregnancy is a time to take stock and concentrate on a healthy well balanced diet to give your unborn baby the best start in life. In terms of calorie intake, you actually only need to increase your daily calorie intake by 200 calories a day in the third trimester, but most women don’t know this. 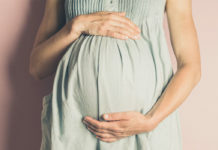 In fact, according to a survey of 1,500 women commissioned by Aptaclub, nearly a quarter (23%) thought they should significantly increase their daily calorie intake throughout pregnancy. So much so that they would have been consuming almost 22,000 calories more than needed during the course of their pregnancy! There is no doubt the “eating for two” myth is firmly held by many in the western world and, most people are very surprised when I tell them it isn’t true. What can happen if you gain too much weight during pregnancy? 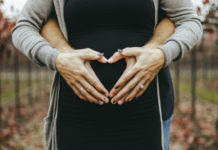 Being overweight during pregnancy can increase your risks of complications including miscarriage, high blood pressure and the need for an interventional delivery such as the use of forceps or ventouse. And if you should need a caesarian section, the risk of wound infection is also increased. Babies born to overweight women are also more likely to be bigger at birth and also have an increased risk of childhood obesity. Which food should you eat while pregnant, and what should you avoid? It’s important that you eat a balanced diet including all food groups. If you need to exclude a food group for medical reasons, make sure you speak to a dietician to ensure that you replace any lost nutrients. There are, however, some foods that should be avoided and these include mould, ripened soft cheeses such as brie and camembert, pate and and cured meats. You’ll find a comprehensive list on the Aptaclub website as part of the Eating for 2 campaign. Chef Lorraine Pascale has also created seven recipes for mums-to-be, which are super easy to make and have been tailored to support a healthy pregnancy diet – perfect if you need some inspiration! Can you benefit from going vegetarian or vegan during pregnancy? I wouldn’t advocate taking on a whole new eating regime for the first time during pregnancy. 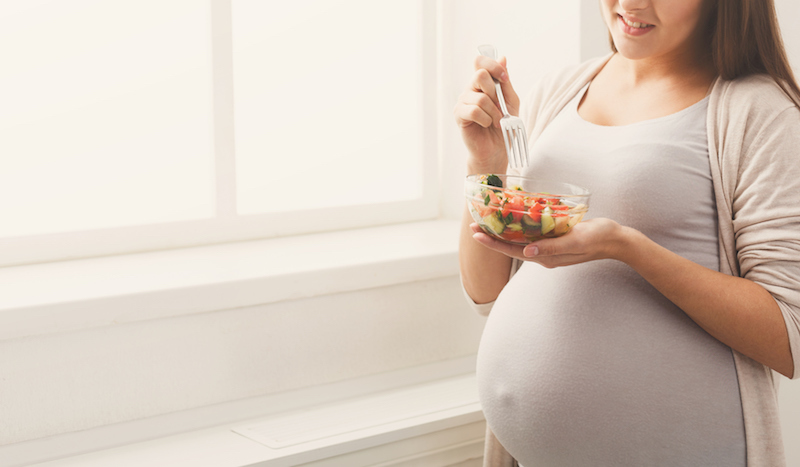 Vegan and vegetarian diets can be among the healthiest, but they take some getting used to and you need to feel confident that you and your baby are getting all the nutrients you need. That said, I would certainly encourage pregnant women to increase the vegetable content of their diet. Tell us a bit more about Aptaclub’s Eating for 2 campaign. I’m delighted to be working as an ambassador on the Aptaclub Eating for 2 campaign. As an NHS GP, I see first-hand the angst and confusion that women experience when pregnant. It’s great to have this reliable online resource and 24-hour helpline that’s manned by qualified midwives and nutritionists available to women for reassurance and guidance.